The cast of characters below are completely dedicated to giving you the smoothest, most stress-free experience possible. They’ll make sure you have everything you need for your appointments, and they’ll bend over backward to help you feel comfortable and cared for at every visit. They’ll always be there with a smile, a joke, and a helping hand whenever you need anything. Click each of the images below to get to know some of the friendly faces you’ll meet here at Hart Orthodontics! Click each photo below to find out more about the Hart Orthodontics Team! 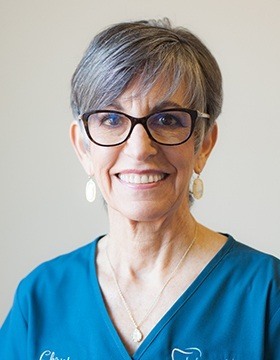 Christy is the Treatment Coordinator and Office Manager for our practice and has been by Dr. Hart's side since he opened in 1978. Christy and Dr. Hart were college sweethearts and have been married for 44 years. They have a daughter, Alexie and son-in-law Dave, who have given them three wonderful grandsons, Ryan, Max, and Sam. Their son, Jonathan, is the proud parent of a Great Dane, Diesel, and lives close to his sister in Mansfield. Christy is the person that will guide you through your Initial exam and consultation with Dr. Hart. She will go over your orthodontic treatment in detail and will explain your financial options and scheduling. Her goal is to make sure all your questions are answered (in English or Spanish - she is bilingual!) and that you get to know our office and staff. 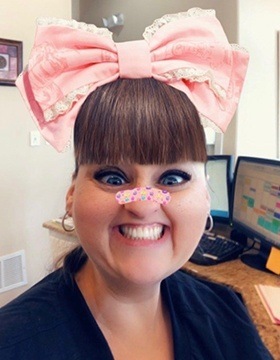 She wants each of you to have a great experience while we work with you to create a beautiful and confident "True Texas Smile" for you or your child. 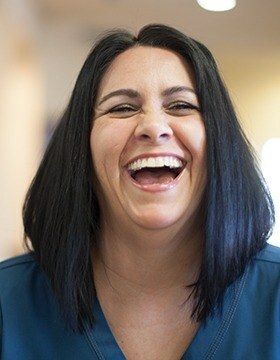 Tara has been a Registered Dental Assistant since 2006. She grew up in Stephenville, Texas and has numerous brothers and sisters. Tara is here to guide you through the financing and insurance aspects of treatment. She has spent years as an Orthodontic Assistant, so she can also address any questions regarding you or your child’s treatment. 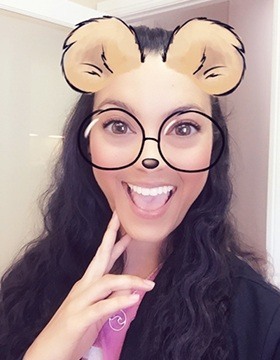 In her free time, she enjoys gardening, camping, playing volleyball, watching Texas Longhorn football, and spending time with her family and friends. Tara is blessed to have two wonderful children, Austin and Paige, who complete her life. 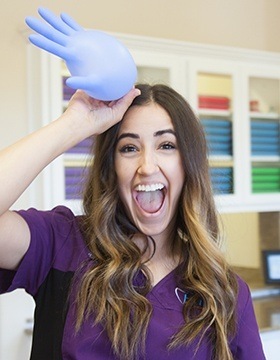 Tara is committed to doing her very best to take care of our patients, and always does it with a smile! Jonathan is Dr. Hart and Christy’s son. 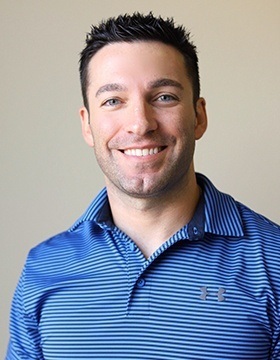 He has always been very involved in the practice, starting out as a lab tech when he was 12 years old and then furthering his skills by working as an orthodontic assistant during the summers of his high school career. While in college, he studied Pre-Med and Business, graduating from Texas A&M University with degrees in Biology and Finance. He then became Principal of Capital Landmark Properties LLC where he manages multi-million dollar investment portfolios in both equities and commercial real estate. He has recently re-joined the practice in order to oversee our In-House Orthodontic Lab, manage our Practice Relations, as well as consult and advise on business operations. He now serves as Chief Operating Officer. He keeps us on our toes and brings a fun and happy energy to the practice. 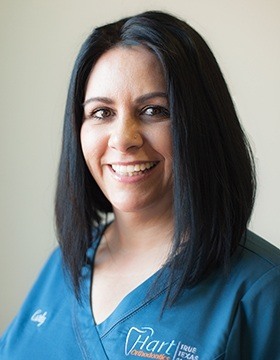 Tania is originally from San Juan, and she is very proud to be a part of the Hart Orthodontics team. Her favorite part of this job is getting to work with such amazing coworkers and interact with so many different people very day. She loves being able to make their experiences here memorable in the best way possible. Outside of work, Tania has been happily married for two years and counting to her amazing husband Thomas. They have a baby boy named Sebastian, who completes her and keeps her going. Her hobbies include dancing, baking, cooking, and spending quality time with her family. Together, they love to try new restaurants, see new places, and experience new things with Sebastian. 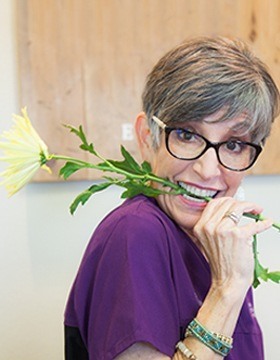 In addition to her dental expertise, she is a trained pastry chef! 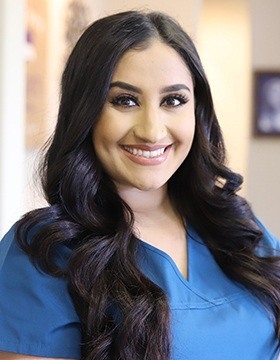 Jessica is a Registered Dental Assistant who graduated from the University of Texas in Arlington. 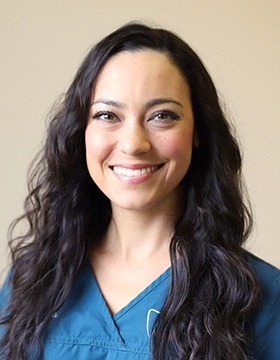 She has been a part of our Team for over 8 years and assists Dr. Hart with patients in the treatment area, and she is very committed to making sure our patients feel comfortable and understand the procedures that are being performed. Jessica enjoys many recreational activities such as salsa dancing, swimming, biking, rock climbing, and going to the beach. Most recently, she enjoys spending time with her puppy, Leila. Jessica is bilingual in Spanish and English and is happy to assist with translations. 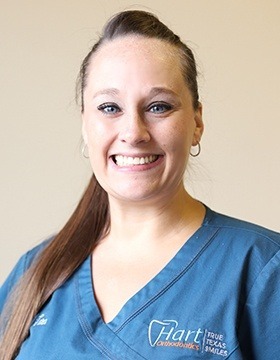 Brooklyn is a Registered Dental Assistant who graduated from the Concorde Career Institute in Arlington. She and her husband Bart have two beautiful little girls, Maddyn and Hudsyn, that are growing up fast before their very eyes. Brooklyn loves photography, playing volleyball, and hanging out with family and friends. 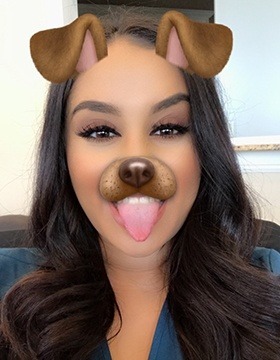 She goes out of her way to make sure our patients feel comfortable and at ease in our office while being professional in every way. Carly has been and Orthodontic Assistant for the past 18 years and is new to our office. We are so happy to have her as part of our Team. 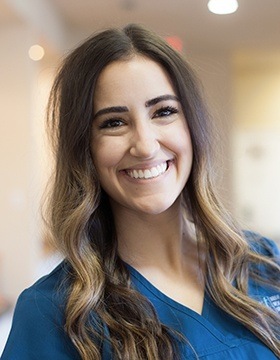 What she likes most about what she does is watching our patient’s smiles get bigger and brighter, and interacting with patients and parents. She graduated from Joshua High School. Her hometown is Burleson, Texas. She calls her family her Village - is a mix of friends and her handsome son, Shawn Ray. She loves live music, movies, and friend and family time.